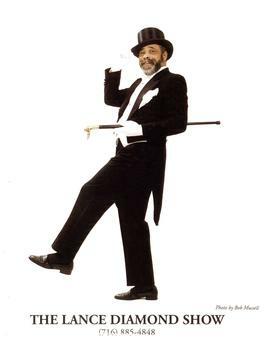 Lance Diamond, entertainer and showman, is a legend and icon in the Western New York area. People travel miles to be taken in by the warmth and style of the Buffalo original. He entertains thousands of people, of all generations year round. Lance Diamond is in the Buffalo Music Hall of Fame and has received numerous awards and accommodations. Lance has entertained in every major club in the WNY area, USO tours (entertaining troops), The New Year’s Eve Ball Drop and The Seneca Niagara Casino. He was also a featured musician at Buffalo’s Thursday in the Square concerts, drawing crowds up to 40,000 people. Click here to listen to one of his hits. Click here to watch him perform.